Is Your RV Sufficiently Insured? Here is How to Know! According to RV Business, every year more than 1 million (yes, million!) RVs traverse Canadian roads. An estimated 14 percent of all Canadians own RVs for living, camping, leisure, and fun. 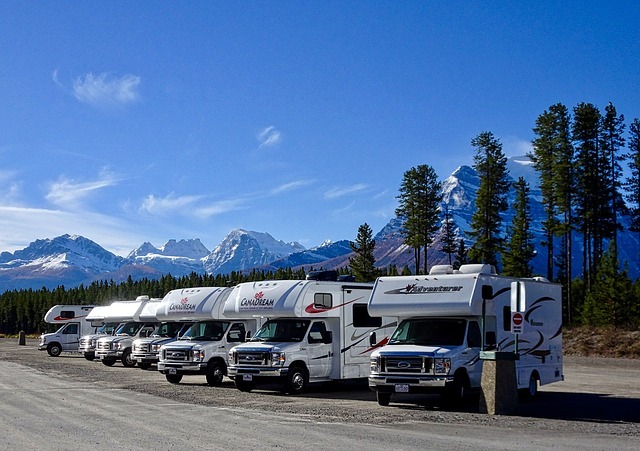 To this end, Canadians spend more than $4 billion annually on new RVs, RV maintenance, upgrades for owned RVs, RV storage and accessories, and more. But how protected is your treasured RV from weather, accidents, theft, vandalism, and the sheer unknowns of life? This is an especially critical question to ask if you have just acquired your first RV and are unsure how to proceed to protect it. In this article, learn more about the best way to insure your RV and ensure you have the right, sufficient coverage to protect your investment. What Class Is Your RV? In general, a recreational vehicle, or RV, is any type of portable accommodation. Some RVs are all-inclusive in that they serve as both transportation and living space. Some RVs, however, are more specialized. Knowing what class your RV falls into is the first step towards obtaining the right type of insurance to protect it. Class A Motorhome. This is the "King" of RVs in terms of size, space, and luxury. It is fully motorized. Class B Motorhome. Sometimes called a "camper van," this RV is built on a basic van structure with a raised roof. Class C Motorhome. Often termed a "mini motorhome," this RV is based on a vehicle chassis with sleeping quarters above the driver and front passenger areas. Fifth Wheel. As its name suggests, the fifth wheel RV is equipped with a fifth-wheel coupler hitch for towing by a pickup truck. Folding Camper. The popular "pop-up" trailer is also called a folding camper or a fold-down camper. Designed to be lightweight and easy to tow, the sides are collapsible for easy transport and storage. Toy Hauler. A toy hauler is more commonly called a "specialty hauler" and is often acquired for dual-purpose use to transport off-road ATVs and motorcycles during the day and accommodations at night. Truck Camper. This small, detachable RV can be attached to a pickup truck bed for use and removed for storage. Hybrid Trailers. Frequently termed the "expandable travel trailer," this RV has a sturdy main structure with ends that fold out into sleeping quarters. Park Model. A park model could be considered a semi-permanent RV. It is wheel-mounted and can be moved, but is designed to stay stationary for periods of time, such as for summer camping. Depending on the type of RV you own, you will need a basic RV insurance policy. This basic level of coverage can often be bundled in with other existing policies, such as auto and homeowners, to save money. Of course, the type of RV you have selected and the way you plan to use it can make it a smart choice to acquire additional insurance as well. Are you planning to travel outside of Canada? If so, make sure you have insurance that covers you when you are out of the country. As an example, vehicle insurance purchased in Ontario does not cover you if you cross into Mexico. If you experience a flat tire or engine trouble while out on the open road, you can purchase insurance that covers repairs and emergency assistance. Do you plan to transport off-road (ATV) vehicles, motorcycles, personal valuables, or other high-value items in your RV? Talk to your insurance broker and be sure these items are correctly insured. If you have taken the time (and expense) to equip your RV with special luxury accessories such as awnings, satellite and Internet antennas or dishes, high-value electronics, and other upgrades, be sure your insurance policy will cover theft, vandalism, and damage to or destruction of these items. Fire, flooding, snow and ice, hail, trees falling, and airborne or roadway debris are all priority concerns, especially when your RV doubles as your residence part-time or full-time. Make sure you have sufficient coverage for these types of incidents that cannot be predicted in advance. If you live in your RV part-time or full-time, it is functioning as a place of residence. What will you do if it is stolen or becomes uninhabitable? Here, you will want to look at a more comprehensive rider that more closely resembles homeowners insurance in case you need to arrange for alternative accommodations while your RV is being repaired or replaced. Here at Mackay Insurance Brokers, we bring our combined 165 years of insurance expertise to bear on your behalf. We want you to feel confident that your insurance needs are well understood and provided for with an affordable policy that fully meets your needs. To learn more and receive a FREE insurance quote for any of our products, you are warmly invited to contact us at 613-966-5740 (1-888-853-5552 for long distance) or online.